Dodging the onlookers whilst rolling up the electric fence. And you would have been spot on! It was not working very effectively. 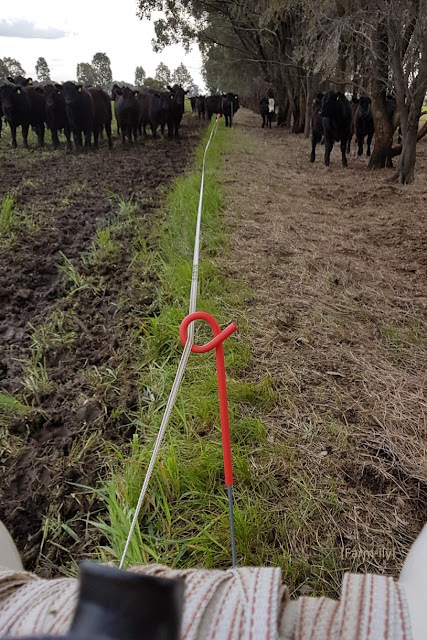 They had figured out how to knock over one of those posts to gain access to the next paddock, so it may as well not be there. Those pesky onlookers look to be in great condition.